Alcobrew Distilleries India Pvt. Ltd. I am a sucker for discounts. Let’s face it, WHO isn’t? Now this year unlike the rest promises to have much more to offer. 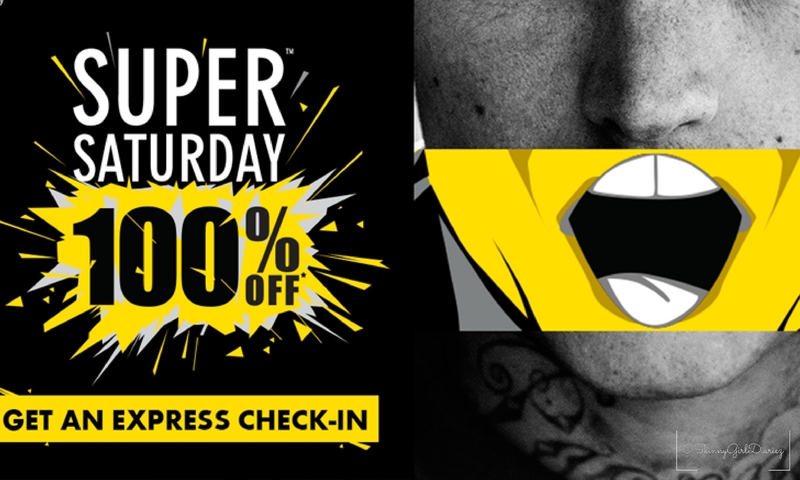 The Super Saturday Sale is back. Jack & Jones, ONLY and Vero Moda all under one roof! The early bird gets the worm! For the earlier riser’s this is a fantastic opportunity to grab the hottest merchandise before they disappear off the shelves. So what are you waiting for? Set the date and the alarm, it is time to queue up, and get your wardrobe revamped without breaking the bank. WHATEVER YOU HAD PLANNED FOR THIS SATURDAY the 3rdth of June 2017, just drop it and head over to the once in a lifetime, and much awaited Super Saturday Sale!! 60% off GUARANTEED discounts on JACK & JONES, VERO MODA and ONLY apparel, shoes and accessories!! Hurry, it is just for a day, 6:00am on until 10:00pm, so get there bright and early, get hold of your friends and let’s make it a shopping extravaganza, where we shop till we drop, that too 3 brands under one roof!! The best part? JACK & JONES, VERO MODA & ONLY will offer this discount on its entire collection! This is your golden opportunity to shop till you drop! Where: JACK & JONES, VERO MODA & ONLY store – 370, Scott’s Manor, 100 Feet Road, Indira Nagar, Bangalore. What are you going to be shopping for? I’ve had my sight on a few pieces of clothing for a while, and am excited to take advantage of the sale! I would love to hear about your special purchases! BESTSELLER India is part of BESTSELLER, a family-owned fashion company founded in Denmark, Europe in 1975. Worldwide, BESTSELLER is present in 46 countries through more than 2,800 chain stores and 12,000 external multi-brand stores. © 2017, Skinnygirldiariez.com. All rights reserved. Do not copy and reproduce text or images without permission. Ultimate Retail Therapy – Super Saturday is Back!! Copyright © 2019 SkinnyGirlDiariez. All rights reserved.